Maria was at work in early November when she received a call on her cell phone from a number in Mexico. She answered and heard a girl crying, "Mom? I've been in an accident, you need to help me." Maria's stomach dropped as she instantly pictured her daughter's face. "Salina? Is that you?" It wasn't Salina, but scammers trying to obtain as much money as possible. Now familiar with the name of Maria's daughter, a man took the receiver and demanded $500 be sent to him through a money order. He warned that she better not hang up, or else Salina would be harmed. Maria began what was to be a panicked four-hour ordeal, where she couldn't hang up and couldn't notify the police of what she thought was a hostage situation. As she stayed on the line with the scammer, she drove to several different places to get a money order. Maria said the man threatened her, called her names and demanded she keep the call going, so he could hear who she was interacting with at all times. When she sent the first money order, the man on the phone said it didn't work and demanded another transaction. Maria lost a total of $1,000 that day. She found out it was a scam soon after the money left her account, when her daughter called her safely from home, unaware of the situation. Maria said she reported the scam to the Tucson Police Department, who referred her to file a report with the Federal Trade Commission. Because there was no evidence of a physical threat, the officers said they couldn't do anything besides document the incident. Arizona Attorney General spokesperson Katie Conner said their office has seen scams similar to the one Maria fell victim to. "We receive complaints regarding the friends and family scam where con artists contact you via the phone and pose as a friend or family member in trouble," she said. "The scammer then asks you to send money right away to resolve the issue and also tells you to keep it a secret from other friends or family members." But that's not the only scam that Arizonans fall victim to. Tucson Weekly spoke with law enforcement officials on the local, state and federal levels. Here's a brief look at the top six scams at work in the state today. There are a litany of different scams happening today that classify as extortion. Similar to Maria's case, the premise is that the scammer obtains money through intimidation tactics or by exercising unjustifiable authority over the victim. The FBI Field Office in Phoenix listed extortion as the number two most common scam in Arizona with 1,340 reported cases last year. "What we're seeing here in Southern Arizona is a lot of government impersonation scams where the scammer will contact individuals, usually the elderly, and inform them that they have an outstanding tax due, for example, from the IRS, and saying they need to pay it right away or they will be prosecuted," Supervisory Special Agent Gary Hellmer says. 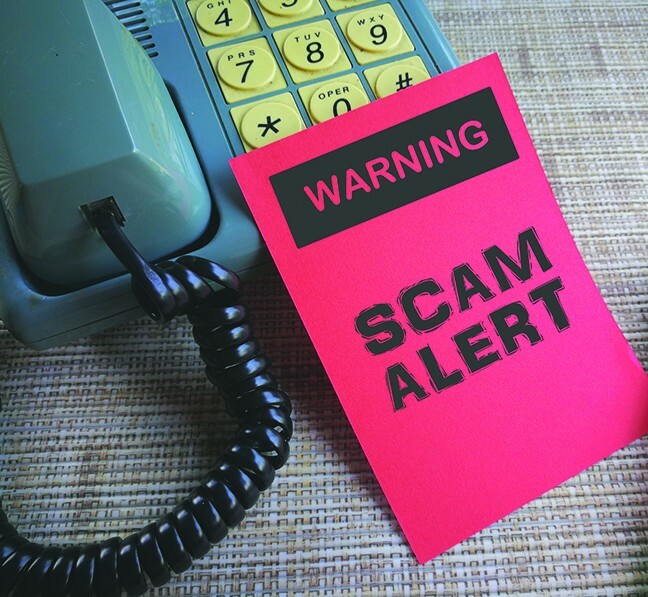 In January, the Arizona Attorney General's Office released a consumer alert warning citizens that phone scammers were impersonating Social Security Administration officials. Their office has seen an "increase in consumer complaints involving Social Security Administration scams where con artists pretend to be from the SSA to obtain victims' Social Security numbers and access to their financials," according to the alert. Variations of the SSA scams include a caller claiming that your Social Security number has been linked to a crime and you must pay an expensive fee to "reactivate" it. The Attorney General's Office stated that the SSA will never block or suspend numbers. Another version involves a caller claiming someone has used your SSN and your bank account could be frozen because of it. The caller will urge you to quickly withdraw or transfer large amounts of money over the phone and will access your bank account that way. "These con artists can be very intimidating and convincing over the phone," Attorney General Mark Brnovich said in a press release. "They've also figured out a way to spoof their phone number, so the number appears to be calling from the Social Security Administration's national customer service number. It's important for Arizonans to remember legitimate government offices will not threaten you, demand money, or ask for access to your bank accounts over the phone." 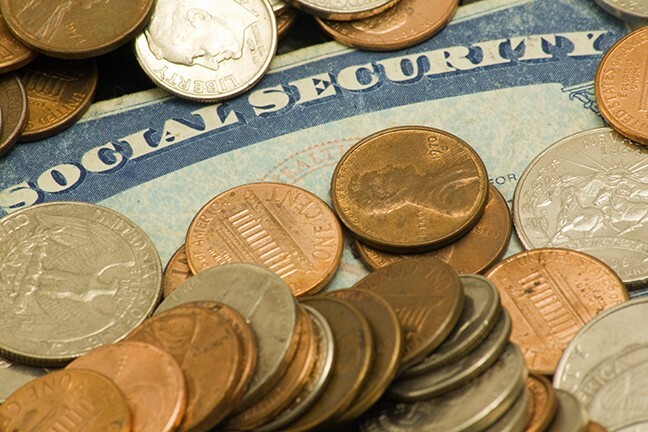 Social Security scams are on the rise nationwide, according to the Federal Trade Commission. In 2017, 3,200 people reported SSA impostor scams to the FTC, with victims losing nearly $210,000 collectively. In 2018, more than 35,000 people reported an SSA scam, with a total loss of $10 million. If you receive a call similar to these examples and question the legitimacy of it, the Attorney General's Office recommends hanging up and calling the SSA directly at 1 (800) 772-1213 to verify the legitimacy of the call and the reason for the contact. Similarly, the IRS encourages consumers to call them at (800) 829-1040 to verify the legitimacy of a call. The Attorney General received more than 1,500 complaints regarding unsolicited phone calls in 2018. It's the most common way scammers make contact with their victims, Conner says. The Attorney General regularly sees complaints of scams regarding the IRS, government grants, fake jury duty and other imposter scams. Conner recommends citizens place their phone number on a "Do Not Call" list, decline calls from unfamiliar numbers and never give out personal information such as credit card numbers to incoming callers. Pima County Sheriff's Deputy Daniel Caballero says the scams they've seen over the past decade have varied, but they are most frequently premised on the caller claiming a person's relative is in jail and they need thousands of dollars to be released through bail. They will often require payment through cash cards that can be obtained at the nearest convenience store. Also known as the "grandparents scam," Caballero says a lot of elderly people will believe this lie because they've lost contact with their loved ones over the years and believe the claim that their family is in trouble. Another frequently used scam is where the caller impersonates a PCSD official claiming the person has an outstanding arrest warrant that they need to pay immediately through cash cards sent to an address they provide. Caballero says the PCSD never operates that way. If you have an arrest warrant, the Pima County Justice Courts or the Superior Court will send you a letter with all the necessary information and next steps. It will have the official court seal on it to indicate that it is legitimate. Sometimes people will find out they have outstanding warrants when they are pulled over for an unrelated traffic stop. "We will never call somebody and tell them they need to pay an outstanding warrant in cash cards or over the phone," Caballero says. "We suggest that if you are scammed in this way, contact your local law enforcement agency and at least make a report so we can document it, what kind of scam you received or what they are trying to scam you out of." Once a report is filed, it is forwarded to the PCSD Fraud Unit, which investigates the bulk of the scam calls in the community. Caballero says a lot of these scams are conducted from overseas, where the scammers somehow purchase a phone number with a prefix that looks like it's a local number, but in actuality it doesn't trace back to any specific address. Because of this, it's very difficult to track scammers down who live outside the United States. Caballero says nine times out of 10, victims who have been scammed never see their money again, so it's important for people to understand those odds if they ever receive a scam call. With 1,358 complaints, personal data breach was the most reported scam in Arizona this past year. Agent Hellmer, who works primarily on white collar crimes, says a breach is either theft or hacking of a person's electronic device, which often contain personally identifiable and private information. The most infamous of these cases involved cyber criminals hacking into a secured database and extracting information, such as the breaches that affected major companies like Equifax, Target, Yahoo and Macy's, who saw hackers steal sensitive information from hundreds of millions of customers. Hellmer suggests safeguarding all your devices that may have sensitive information on them. Use long passwords for your accounts as well as your confidential documents. Update your phone, computer and/or tablet's software whenever possible, it will help prevent malware from being able to reach your device. If you have physical copies of these types of things, keep them in a locked cabinet or safe. Roughly 1,300 Arizonans lost $3.5 million to these types of scams. The FBI listed non-payment and non-delivery scams as the third highest in Arizona by reported loss and number of complaints. Non-delivery scams are, unsurprisingly, transactions where consumers will pay online for a product and it is never delivered to them. Non-payment scams can affect businesses that connect a buyer to a seller, which is becoming increasingly more common as consumers turn to online retailers to buy their goods instead of going to brick and mortar retail stores. "We have businesses out there that are basically the brokers of selling items which can be online, people will essentially order an item, ship it and then not get paid," Hellmer says. Business owners should always err on the side of caution by verifying the person they are conducting non-credit card transactions with, Hellmer says. Checks, including cashier's checks, can be counterfeit, so verify with a bank that the payment is legitimate before shipping a product. 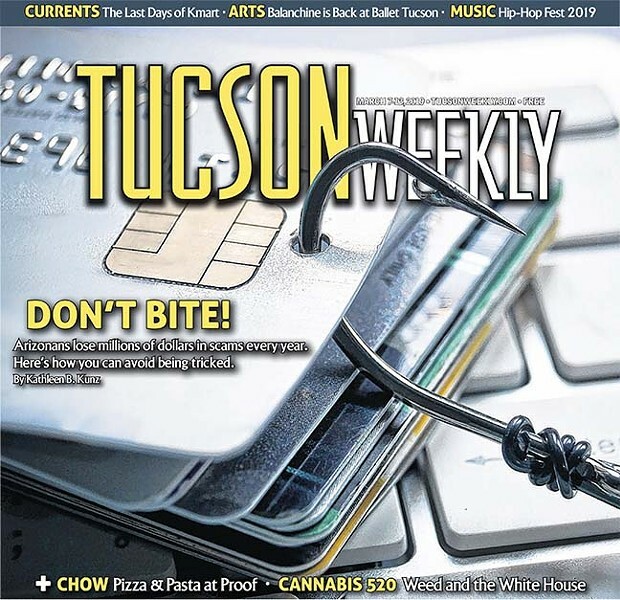 BEC, a scam that targets businesses or individuals who work with foreign suppliers and regularly perform wire transfer payments, was the most costly scam last year in Arizona, with reported losses totaling more than $19 million. According to the FBI's Internet Crime Complaint Center, also known as IC3, it typically involves a scammer using social tactics or computer hardware intrusion to make unauthorized transfers of funds. Many of these attacks are routed through accounts within Asia. The BEC scam is changing constantly. The IC3 has seen these "fraudsters" targeting individual CEOs and personal emails with vendor information, sending fraudulent requests for tax information to business emails, or even posing as lawyers urging business executives to make secret or time-sensitive wire transfers. In 2017, the real estate industry was heavily affected when scammers targeted customers buying property. Confidence or romance fraud is an increasingly common form of stealing money. Arizonans lost a total of almost $8 million to these types of scams last year. A scammer will deceive a victim into believing they have a trustful relationship, whether family, friendly or romantic. This could take days, weeks or months, depending on how trusting their victims are. "As a result of that belief, the victim is persuaded to send money, personal and financial information, or items of value to the perpetrator or to launder money on behalf of the perpetrator," according to IC3's annual report from last year. The FBI warns that you should never send money to a person that you have never met with face-to-face, no matter how confident you are in their identity or their intentions for requesting money from you. The less common but still dangerous forms of scams are conducted through pop-up windows on your internet browser or unsolicited emails in your inbox. Conner, with the Attorney General's Office, says some pop-ups are just advertisements for goods or services, but others can be fraudulent. Pop-up windows that warn your computer has a virus should be ignored, along with ones that ask for your personal information. "If the pop-up congratulates you on having won millions of dollars and claims it is not a scam, you can be sure that it is," she says. Since many companies sell email addresses to third-party advertisers, spam email is always something to watch out for. Conner says spam can be just an annoying advertisement from a legitimate company, or it may be a scam. The most common are chain emails involving money and promises of big returns, work-at-home schemes guaranteeing easy income and weight loss products, often presented with fake testimonials. Phishing scams are done through emails designed to look like they come from a reputable company. The goal of a successful "phish" is to get you from the email to a website where you are asked for sensitive information like your Social Security number, credit card number or usernames and passwords to important accounts. To prevent being a victim to one of these scams, the Attorney General's Office recommends thoroughly vetting all companies you interact with online. Make sure their websites, addresses and phone numbers provided match up to a reputable source. Use a pop-up blocker on your browser to eliminate the risk of pop-up scams. Do not click on or open links in suspicious email. If you are unsure of whether an email is from a trusted source, open a new web page and type in the link yourself. When making online purchases, always use a credit card. This way you can at least dispute the charge if services are not delivered. If you believe you have become a victim of consumer fraud, contact the Consumer Information and Complaints Unit at (520) 628-6648. While everyone is at risk of being scammed, trends show that the elder community is most at risk. "We do see con artists often target our seniors for a handful of reasons," Conner says. "Seniors are often more trusting of individuals because they grew up in a different time. They also often have more wealth through retirement, investments, et cetera." According to the IC3 report, the number of victims increases within older age groups. The largest group of victims were 60 or older, but scams still affected people in their 20s, with only 8,391 fewer reported incidents than those in their 60s and over. However, people in their 20s lost a collective $68 million, a relatively small amount compared to people in their 50s who lost a staggering $275.6 million. People over 60 lost $342.5 million. The only way law enforcement and criminal justice officials can combat these types of crimes and compile data and trends based off them is if victims report the scams, whether they fell for it and lost money or not. Hellmer says the FBI wants everyone, especially victims, to report any scam to www.ic3.gov as well as their local law enforcement agency. The Arizona Attorney General's Office prosecutes various types of fraud, but charges are only brought against scammers in criminal cases and the sentences will vary depending on what the defendant is found guilty of. "On a criminal level, we can prosecute bad actors through the justice system and seek an appropriate punishment for their crimes," Conner says. "On the civil level, our office can go after bad actors for financial penalties, and we can sue them to get victims their money back. Since General Brnovich took office, more than $60 million have been returned to consumers." At the end of the day, officials can only fight scammers when consumers speak up. Victims are encouraged to go to www.azag.gov and file a detailed report of their experience. "If you have a valid claim, our team will investigate," Conner says. "And we will do what we can to get consumers their money back."